Artists and representatives of area arts organizations gather at the Arts & Cultural Council Center in Rochester on Friday. What’s the future of funding the arts in Rochester? 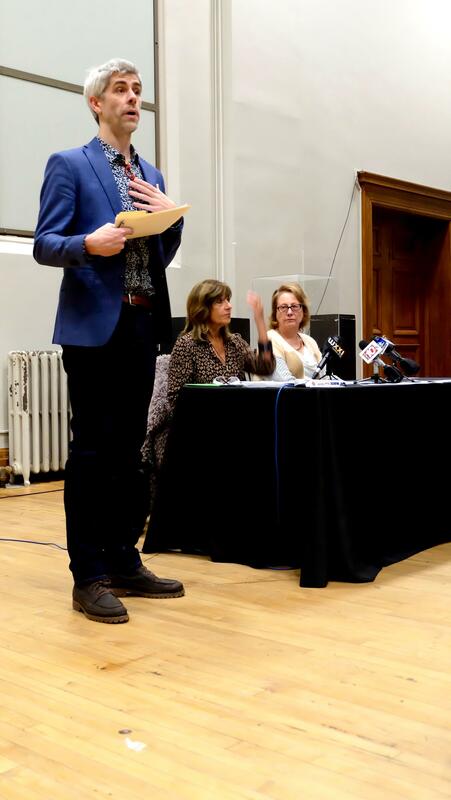 Local artists, officials and event organizers gathered at the Visual Studies Workshop auditorium in the Arts and Cultural Council Center Friday evening to discuss ways to fund Rochester arts in the future. 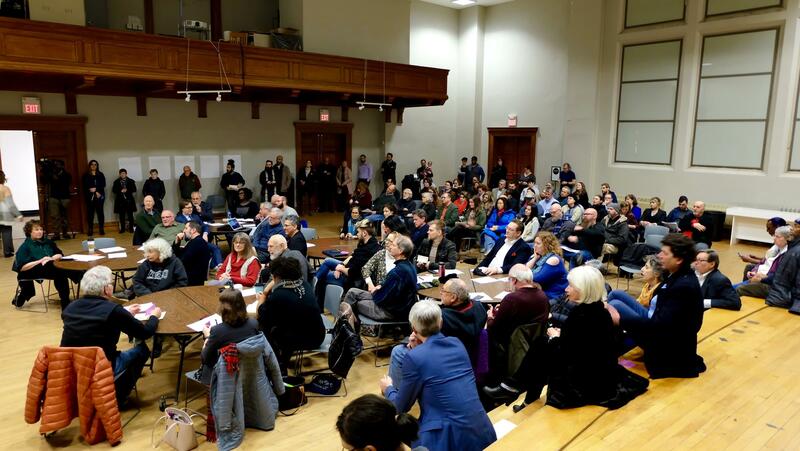 The meeting, organized by City Councilmember Elaine Spaull, attracted more than 80 people, including artists or staff members at local major arts organizations, including the Rochester City Ballet and Writers & Books. Taurus Savant is a local artist who was one of few people of color in the meeting and organizers say they wish they’d gotten more of diverse attendance. Last week, the Avenue Black Box owner Reenah Golden, posted details about the meeting, encouraging artists of color to attend and be a part of the discussion. However, the meeting focused on a study from May 2018, which Golden and other artists say they could review on their own time. Savant says he signed up to take messages from Friday’s meeting back to his network. “I came here because I have to do my duty as an artist and advocate to make sure my voice is heard and that people who look like me will also be heard. If I don’t see that in the room, I have to make sure I take the initiative and be in the room,” he said. He says he knows several artists who don’t receive much financial help for their projects and often depend on their savings account or crowdsourcing to complete artwork. Yet, he argued, the general public often benefits from art, especially public art, and he wants more financial backing for that work. Bleu Cease, Executive Director of RoCo, the Rochester Contemporary Arts Center, among the speakers at the forum. The study discussed Friday was originally put together for the City of Rochester to explore how a large theatre on Parcel 5 would affect the local arts community. However, the report also explored how other cities are funding the arts. That’s where many organizations want to go next. By setting aside a small percentage, even just one percent, they say this can ease the burden on several groups and artists and make larger projects and venues more feasible and accessible. The discussion isn’t a new one. Spaull says it’s something they’ve been dealing with several years. However, as artists at the meeting noted, there are several obstacles, including where the money should come from and how it should be given out. She said next steps including involving Monroe County to discuss tax revenue and organizing another meeting. She vowed to be a city representative that artists can speak to about this issue and also asked that City Councilmembers Jaclyn Ortiz and Mitch Gruber help with that. Spaull says another meeting will be organized soon, and that information will be posted on the City of Rochester’s website. While a number of these artists may not be much closer to securing the funding they hope for, Spaull believes they are on the right path to getting there.